The Crab Claw started in the 1950's as a clam shucking and crab business. Family owned and operated, the restaurant has evolved into a St. Michaels tradition. 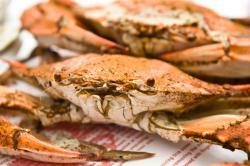 Specializing in fresh seafood with Maryland Blue Crabs served ALL ways. Voted best crab cakes by Southern Living Magazine in January 2010. Enjoy our spectacular harbor view from the air conditioned dining room or watch the daily catch arrive on the outdoor deck. 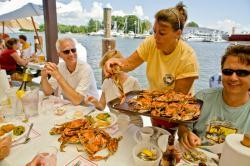 Come enjoy the finest seafood served in the informal Eastern Shore style by folks that know seafood best. Full carryout available. Reservations suggested.